Step 2. Mark of the entire dowel in inches. Starting 12 inches from one end of the 2×6 mark off every inch (0-36). Be sure to write numbers down both the dowel and the 2×6 for easy measurement during FMS kit testing. Step 3. Stand the wood up on its side. Use a drill to drill two holes ~2″ deep. I highly recommend using drill press to ensure the holes are vertical. Step 4. 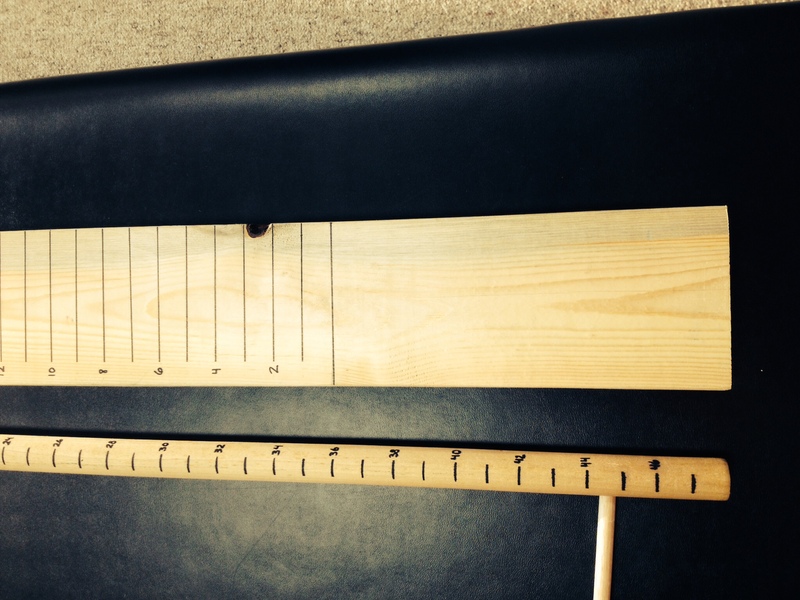 Place 3/8″ dowel into the holes. 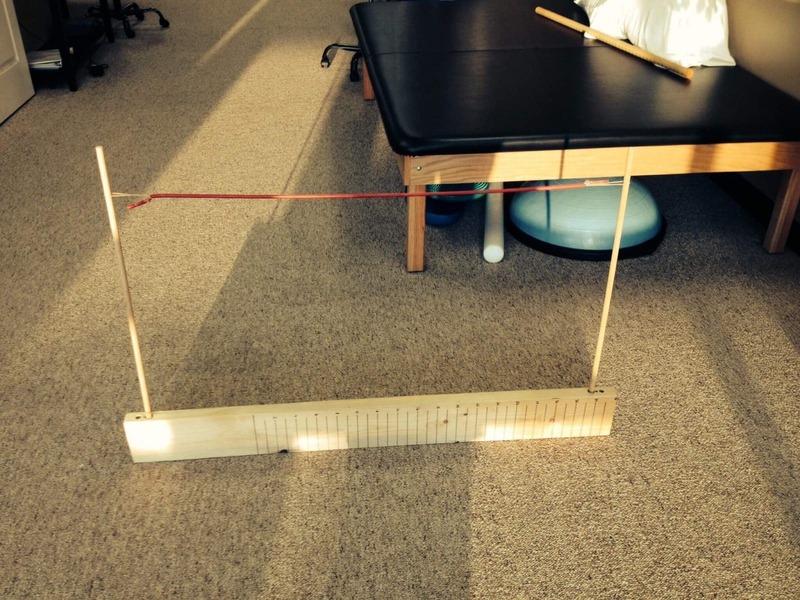 Take theraband or rope/string to make the hurdle. Step 6. Use velcro to hold everything together for easy carriage during traveling and better storage when not in use.